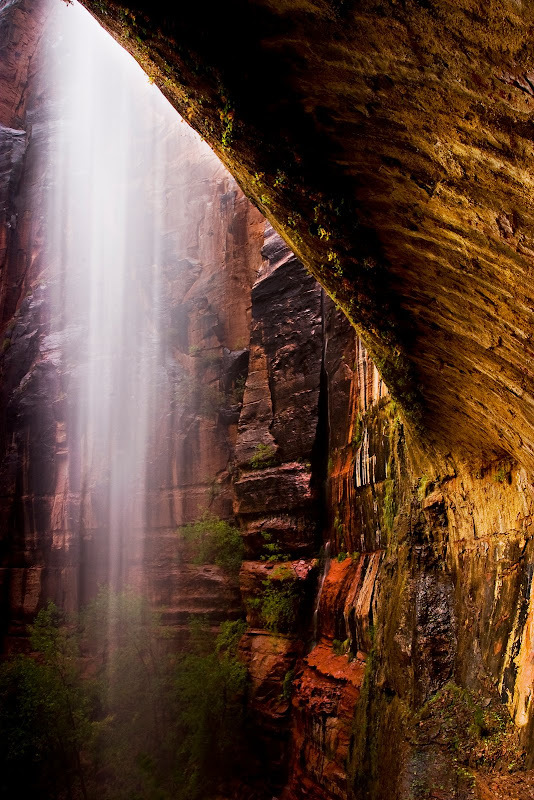 Weeping Rock is one of the most popular trails in Zion, probably because it is so easily accessible. Water from Echo Canyon located above gradually seeps through the sandstone in a 1000 year-long process of filtration and gets pushed out through the rock face where hanging gardens of plantlife thrive in the permanent dew. However, the view at Weeping Rock is usually not as specatular as what I witnessed this day. In this photograph, rain water is pouring out from Echo Canyon above, bypassing the slow process of seeping through the sandstone. 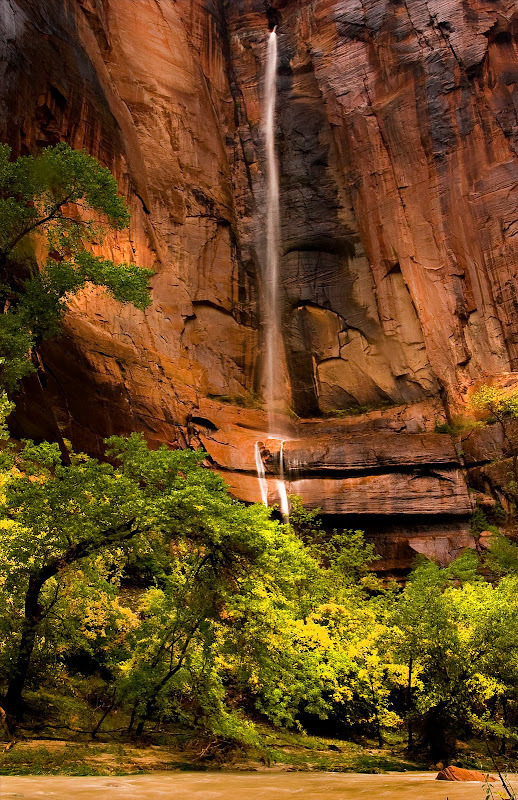 This waterfall, located near the entrance to the Zion Narrows, is usually present during and just after rainfall in Zion. I love the effect of the towering canyon walls and magnificent waterfall as murky brown floodwater from the Virgin River rushes by in the foreground.